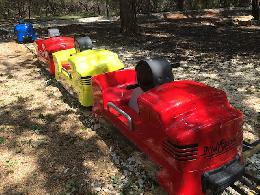 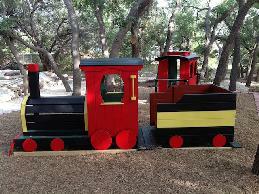 A unique play area for the youngest kids and toddlers to imagine they're driving a train and carrying passengers. 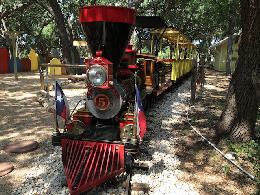 A great place for little gunslingers to pretend they're chasing bad guys or running the railroad. 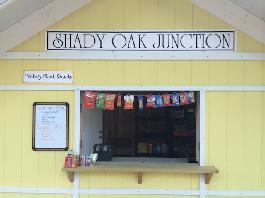 Buy your tickets and train souvenirs, or get a tasty snack and ice cold drink to enjoy in the cool shade of the Shady Oaks. 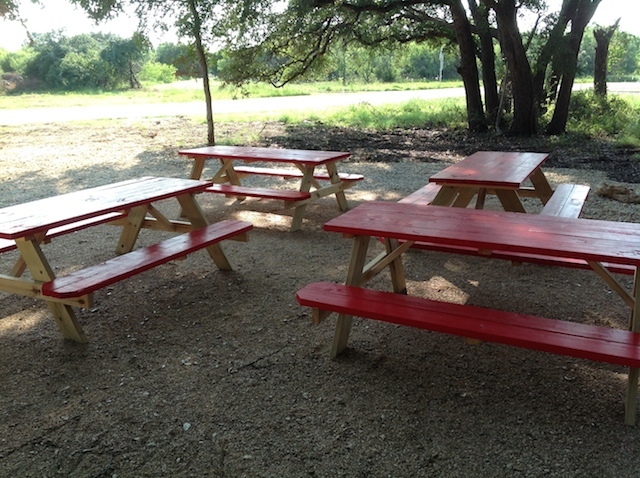 Three large groups of picnic tables to sit and enjoy something to eat or drink, or simply have fun in the midst of the amusement. 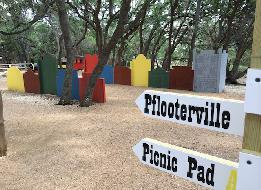 Pads are also available to reserve for parties.